The last time you looked at an ingredients label on a food package, you might have seen something that made you wince and put the package back on the shelf. But did you pause even for a second to wonder whether you could trust what the label said? Probably not – and that didn’t happen by accident. We can trust food labels because there’s a huge system of food safety regulations dedicated to keeping food companies honest. When the system is working well, we don’t even notice it: we just waltz right into the grocery store and pick up clean, safe food without having to think about the massive amount of work that got it on the shelves. But behind the worry-free checkout line is a long chain of laws, inspections, and regulations covering everything from the fat content of ground beef to the chemical names that can be used on juice packages. Unfortunately, the same can’t be said for supplements. The supplement industry is notorious for loose regulations: unlike foods, supplements are not tested before they go on the market. Instead, the FDA trusts companies to comply with good manufacturing practices on their own, and only steps in if there’s a problem. In 2002, tests from the International Olympic Committee found that 15% of supplements tested would set off a positive doping test; among supplements from the United States specifically, that number was even higher at 19%. Most recently, one test of herbal supplements in Canada found that one-third of them were a completely different plant than what was listed on the label, and almost 60% contained at least something wrong. Some of the additives were harmless, but some were potentially dangerous – including wheat, soy, and senna (a powerful laxative). Other supplements have the right ingredients, but in the wrong quantity – like this fish oil that contained 4,000 times more Vitamin D than listed on the label. On the flip side, other supplement tests have revealed that the pills had little to none of the active ingredients promised. Various different bills have been proposed to regulate the supplement manufacturing process – most of which have failed thanks to the massive lobbying power of an industry that rakes in over $30 billion every year. Just for comparison, that’s a profit equivalent to the drug market for diabetes. This is not a case of the scrappy, all-natural supplement industry fighting Big Pharma. Claims about weight loss, sexual enhancement, bodybuilding, or athletic performance: these categories are the most common targets of fraud. Claims that sound a little too much like prescription drugs. Claims about benefits, not ingredients. “Proprietary blend:” if they won’t tell you what’s in it, there’s probably a reason why not! Anything with very high levels of any particular nutrient (over 200% of the Daily Value). In general, you can avoid a lot of this by buying only single-ingredient supplements. Skip the “targeted” multivitamins and special “workout enhancers,” and stay safe with products that have just one ingredient. 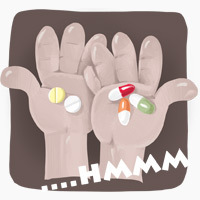 If you do choose a multi-ingredient supplement, this page has a useful list of dangerous ingredients to watch out for. One big test for a high-quality product and distributor is whether a product is kept at the correct temperature. In particular, probiotics and fish oil should always be refrigerated – if they’re not, it’s a sign that either the store or the manufacturer (or both) doesn’t know how to treat supplements right, or just doesn’t care about quality. And if they’re cutting corners on such a simple thing as proper storage, who knows where else they might be trying to cheat you? Fish oil stored at room temperature will go rancid, and probiotics will quickly degrade: don’t buy either if they’re just on the shelf! Some vitamins and minerals come in several different forms, or are derived from several different sources. This can seriously affect how much benefit – if any – you get from your supplement. For example, with magnesium, you should always go for “magnesium __________ate” (chelate, citrate, glycinate, or something else that ends in –ate), never magnesium oxide. The oxide form is poorly absorbed and won’t do you much good. Reputable supplement manufacturers should offer nutrients in forms that are easily absorbable and bioavailable, not cheap substitutes that don’t work in the real world. Often you can find studies testing a specific branded product – either to make sure that the ingredients are legitimate, or to test the claims of effectiveness. Run a quick search on PubMed to see what you can find, for better or for worse. Remember that studies just testing “supplemental magnesium” or “supplemental calcium” don’t tell you anything about a particular product. You’ll need to put in the specific brand name as well. The United States, Canada, and most countries in Europe have reasonably good environmental, agricultural, and manufacturing standards. China does not. This is especially important for herbal supplements, because if they’re grown somewhere with low environmental standards, they may be contaminated with dangerously toxic pesticides that are banned in the United States. So check the country of origin! If a botanical supplement is grown somewhere without strict laws regulating pesticides and herbicides, make sure the manufacturer runs tests on all their raw materials (you can usually find this information on their web site), or is certified by one of the third-party groups below. Good Manufacturing Practices. These are voluntary guidelines issued by the FDA to make sure that the label accurately reflects the contents of the bottle. They include rules about testing of ingredients, cleanliness of the facilities, and testing of finished products. Other testing: Some associations conduct their own tests on top of GMP tests, or have a stricter set of standards. These labels aren’t perfect, but they’re a whole lot better than nothing at all. They’re basically a shortcut: instead of you having to call the company to ask about their manufacturing standards, you can just look at the seal and know that someone else already ran the test. On the other hand, there are also high-quality supplements that don’t have one of these labels, so the absence of a label isn’t necessarily a damning criticism. Instead of relying only on certifications, think of them as one piece of information that can help you make an overall informed choice. Here’s a rundown of the labels you might see on supplement bottles, the associations behind them, and what they mean (note that these pictures are for your information only. They’re not a recommendation or endorsement of any individual program). The best-known of the third-party testing services, Consumer Labs is an independent laboratory that tests various supplements to see whether or not they actually match their labels. It also has a Good Manufacturing Standards program that’s even stricter than the FDA’s standard set of requirements. That sounds great, but there’s a catch: companies can request that their supplement be tested, and if they pay for the testing, they can suppress negative results. So it’s one useful resource, but take the results with a grain of salt. Consumer Labs typically tests only the finished products, but they also have a raw materials certification program. You can look up information about their test results for finished products here, and learn which companies have their raw materials certification here. 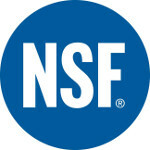 NSF International certifies supplements as well as a whole host of other products including food and medical equipment. NSF certification is awarded to products that meet the American National Standard for dietary supplements (which the NSF developed, alongside various industry groups and regulatory agencies). Products with the NSF seal must meet standards concerning quality and identity of ingredients, contamination, pesticide residues, and potential pathogens. The NSF seal also indicates compliance with Good Manufacturing Practices. You can look up NSF Certified supplements here. NSF International also runs a subsidiary certification, NSF Certified for Sport, which tests products marketed to athletes for specific performance enhancers that are forbidden by major athletic organizations. You can look up NSF Certified for Sport products here. The US Pharmacopeial Convention is a nonprofit dedicated to exposing fraud and dishonesty in foods, medicines, and dietary supplements. Despite the name, it’s not affiliated with the US government. As well as a set of standards for manufacturers, the group also offers a certification for supplements, which requires testing both the raw ingredients and the finished products for purity, and inspection for Good Manufacturing Practices. You can find a list of USP verified supplements here. Informed Choice is a certification granted by a third-party lab called HFL Sport Science. It’s a label specifically for sports supplements, focusing on steroids, growth hormones, and other substances of special concern to athletes. To get the Informed Choice sticker, a company must comply with a strict set of guidelines for raw material testing, label accuracy, and storage of the finished product. You can search Informed-choice registered products here. The Banned Substances Control Group is another regulatory agency that zeroes in specifically on athletic supplements and performance enhancing drugs. Its strength is its stringent requirements – every batch must be tested – but its weakness is that it doesn’t inspect facilities. Still, it’s a very useful program for athletes, especially considering that athletic/bodybuilding supplements are one of the biggest targets of fraud. BSCG Certified Drug Free – this certifies that supplements don’t contain banned substances like performance-enhancing drugs or other drugs like painkillers (technically not banned, but you still don’t want them as a surprise in your supplements). BSCG Certified Quality – this is a more general label for nutritional supplements to verify that (a) they DO contain what they’re supposed to contain, and (b) they DON’T contain contaminants like pesticides and heavy metals. BSCG Certified GMP – this is a certification that the manufacturing process for the supplement or drug met federal standards for good manufacturing processes (GMP). The new logo is at the right. The text at the bottom will say “Drug Free,” “GMP,” or “Quality,” depending on which certification the product has. Depending on what kind of supplement you’re looking for and what particularly you’re worried about, this is a pretty strong certification program with rigorous testing. A seal from one of these third-party organizations is good enough for most of us, but your best bet for being absolutely sure of a supplement’s quality is to send it in to a lab yourself for independent third-party testing of that particular bottle. The downside to this: it’s more expensive, and it’s more of a hassle. If you can find a good brand for whatever you want to take by other means, it’s probably not necessary. But if you can’t find any reliable information about brand quality and especially if you’re trying to use the supplement for help with a serious problem, third-party testing might be worth your while. Supplements are confusing! That’s probably the most important thing to take away from this – and also one of the best reasons to get as much of your nutrition from food as you can. You don’t have to send an avocado to a third-party lab or do a whole lot of detective sleuthing to know what it is! If it’s spoiled or off somehow, you’ll spot it right away. Use common sense and don’t buy anything with obviously ridiculous health claims. Try to restrict your supplement use to single-ingredient products where possible, and avoid unspecified proprietary blends. Run a quick search. Plug the brand name + “fraud” or “FDA” into a search engine and see what comes up. Look at the bottle to see the refrigeration (if it’s a product that needs it), the form, and the country of origin. Check for seals from one of the third-party organizations, or call the company yourself to ask about their testing and manufacturing processes. You’ll have to be pay for quality: bargain-basement products generally (although there are exceptions) have standards to match. But if you ruthlessly pare down your supplements to a few that you actually need, it gets a lot more affordable to buy the best. Also, if you do experience an adverse effect, report it! You can report adverse effects to the FDA by calling 1-800-FDA-1088, or by going here and filling out the form. Your commitment to reporting a side effect might help doctors or researchers identify a bad batch of a certain product and publicize it so other people don’t get sick. These steps won’t guarantee you prevention against fraud – nobody can do that with 100% certainty. But they will make you a lot safer, and in the confusing world of supplements, sometimes that’s the best anyone can hope for.